Up to 71% off Crocs Women's Super Molded Ballet Flats - as low as $13.42! 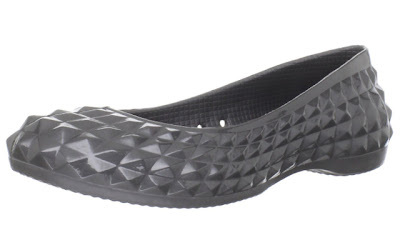 The Crocs Women's Super Molded Patent Flat, Graphite is currently selling for just $14.53 on Amazon.com! You will be saving 71% off the listed price of $50.00 with this women's shoe deal. These Crocs are available in sizes 3B(M) to 11B(M). More Crocs ballet flat deals . . .